Today is Saint Valentine’s day and Pelikan has chosen to celebrate the occasion by sending a love letter of sorts to their fans. 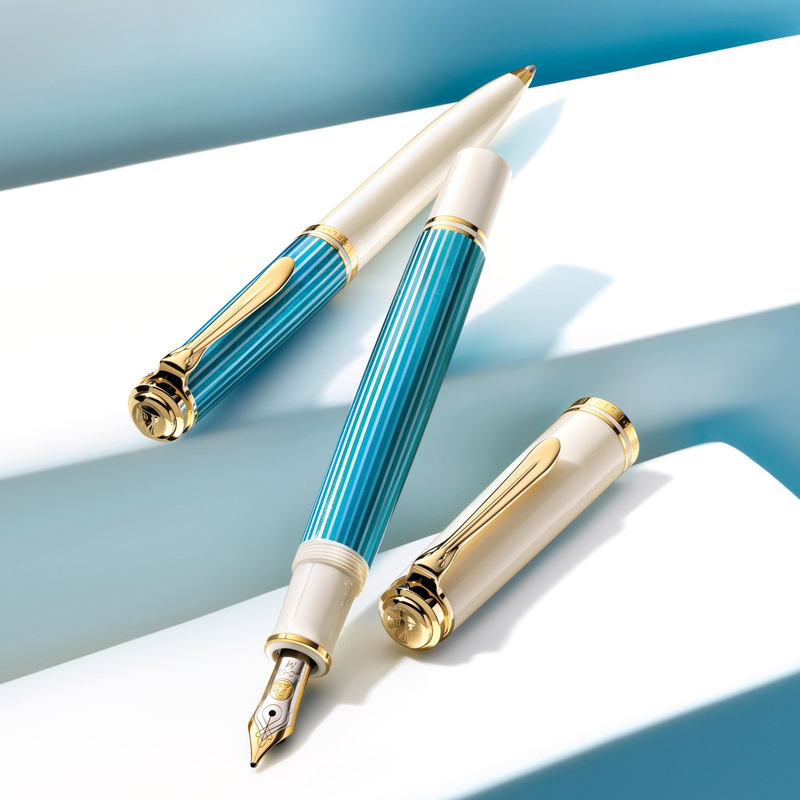 Retailers across the globe broke news of Pelikan’s first release of 2018, the M600 Turquoise-White. The announcement comes somewhat later than anticipated and heralds the second M6xx release in the last several months, following on the heels of the M605 White-Transparent which came out at the end of last year. You’ll notice that it is styled and packaged very similarly to that model as well as the M600 Pink that pioneered this look back in 2015. This newest release is expected to hit retail shelves sometime around mid-March but I wouldn’t count on this one hanging around for too long. Pelikan’s turquoise beauty will serve to kick off what promises to be an exciting 180th anniversary season of new releases.